BERLIN – The German passenger aboard the Irene catamaran that tried to break Israel’s blockade of Gaza last month appears to have invented her conversion to Judaism, Berlin’s Der Tagesspiegel newspaper reported on Tuesday. “Edith Lutz is definitely a Jew, like a smoked pork chop is kosher,” reporter Henryk M.Broder wrote. The Irene, organized by the British NGO Jews for Justice for Palestinians, supposedly carried a total of nine passengers and crew members, all Jews, to show that not all Jews supported Israel’s Gaza policies. The Israel Navy diverted it to Ashdod Port. 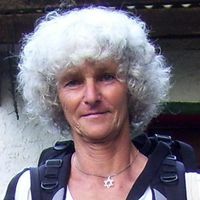 According to the Tagesspiegel report, the German Jewish psychologist Dr. Rolf Verleger asked Lutz if she formally converted to Judaism, and she “did not dispel the suspicion” that she is not Jewish. Monitor’s producers have been accused of sloppy journalism for failing to diligently factcheck Lutz’s credentials as a converted Jew, and turning her into a representative of Germany’s 106,000 Jews. Sonia Seymour Mikich, the editor-in-chief of Monitor, seemed to duck the criticisms in a statement on why the program presented a woman masquerading as a converted Jew. It “is not customary for Monitor to pressure people to produce baptismal and conversion documents in order to conduct interviews”, she wrote. Many German journalists devote a great deal of coverage to fringe Jews who bash the Jewish state. Lizas Welt slammed Lutz’s “verbal attacks on Israel” as including equating the Jewish state’s actions with those of the Nazis. Lutz has stated that the Israeli government issued her passport without a “deportation stamp.” The word “deportation” in a German context carries a Nazi-era connotation from the time when Europe’s Jews were deported to extermination camps. Nathan Gelbart, the Berlin-based attorney who heads the German branch of Keren Hayesod-United Israel Appeal, told The Jerusalem Post on Thursday that “over 7 million people live in Israel’s democracy, which, in contrast to their more than 30 million Arab neighbors, are allowed to openly discuss the controversy surrounding the appropriateness of the sea blockade of Gaza. 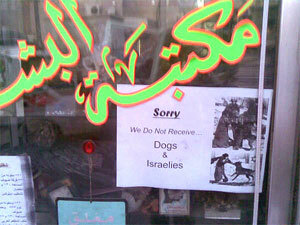 And Israelis openly discuss the blockade. According to a report from Ulrich Sahm, a veteran journalist in Israel, Lutz brought three backpacks that contained stuffed animals, second hand toys and musical instruments on the Irene. Why some liberals lose perspective. This contrasts starkly to the approach Oz currently adopts. With the country isolated as never before and the entire world applying double standards and pouring venom upon us, Oz, who shares the frustration of most Israelis with the botched Gaza flotilla imbroglio, contributed an op-ed to the Guardian and The New York Times which extended far beyond the issue of the flotilla. He told Americans and British readers that “power has intoxicated us,” that we are “fixated by the concept of military force” and that we abuse this power not for reasons of self-defense but to “squash ideas and smash the problems” confronting us with brute force. The call for “ending the blockade” implies that a government should sit with folded arms while the Iranians flood Hamas with missiles and other weapons. Even the principal opposition party, Kadima, is calling on the government to stand firm and maintain the blockade. Could one possibly visualize any country not blockading a neighbor which openly proclaims that its primary objective is to annihilate it, rains missiles on its civilian population and abducts a soldier, boasting that it intends to launch further kidnappings? As to “ending the occupation,” we are still reeling from the fallout from our unilateral Gaza disengagement. However, with the dramatic growth of postmodernism after the Cold War and the emergence of the New Left (which also impacted on Labor Zionism), many liberals began adopting a negative attitude toward all forms of nationalism, including Zionism. The combination of the suffering of the Palestinians, even if self-inflicted, the military power of Israel and the romance of the left with Islam, led to the Jewish state being portrayed as the global epicenter of evil. That was massively reinforced by the explosion of Jew hatred, in which “Zionist colonialism” assumed the role of a surrogate for traditional anti-Semitism. Today, this has culminated with condemnation of Israel becoming a major prerequisite for being considered a liberal. Thus, many Jewish intellectuals, for whom liberalism was akin to a secular religion and who were desperate to remain within the “progressive” fold, consciously or unconsciously felt impelled to dissociate themselves from the “negative image” of the Jewish state, especially one led by a “right”-wing government. // José Maria Aznar, former prime minister of Spain, published an opinion article with the London Times Thursday saying the world must support Israel because “if it goes down, we all go down”. Aznar, who has joined the ‘Friends of Israel’ campaign to which David Trimble, a foreign observer taking part in Israel’s flotilla raid probe, also belongs, calls on Europe to refuse to put up with cries to eliminate Israel as part of global Christian-Jewish cooperation. “Anger over Gaza is a distraction. We cannot forget that Israel is the West’s best ally in a turbulent region,” Aznar writes of the IDF’s calamitous raid on a flotilla bound for Gaza on May 31. Aznar also criticizes Turkey, to which the Marmara belonged, for placing Israel “in an impossible situation” in which it would have to either give up its security or face world condemnation. The former prime minister calls on the world to “blow away the red mists of anger” and take a “reasonable and balanced approach” based on the fact that Israel was created by a decision of the UN and therefore unquestionably a legitimate state. “Israel is a nation with deeply rooted democratic institutions. It is a dynamic and open society that has repeatedly excelled in culture, science and technology,” he adds. Aznar says the real threat to the region is extreme Islamism, “which sees Israel’s destruction as the fulfillment of its religious destiny and, simultaneously in the case of Iran, as an expression of its ambitions for regional hegemony”. “Both phenomena are threats that affect not only Israel, but also the wider West and the world at large,” he adds. Aznar concludes by saying that Israel is the West’s first line of defense against the chaos set to erupt in the Middle East, and therefore must be protected. 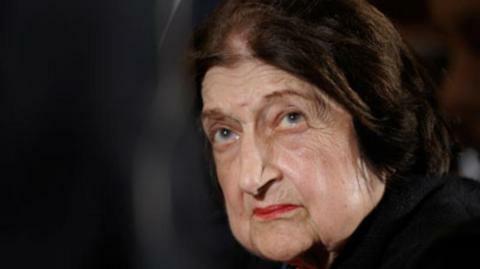 44 – Helen Thomas retires amid controversy over Israel remarks. Thomas told a rabbi at a White House event last week that Jews should “get the hell out of Palestine” and go back to Germany and Poland. Thomas’s comments provoked sharp criticism within the close-knit world of White House reporters, and drew a rebuke from the White House podium Monday. With her seat conspicuously empty at the daily briefing, White House press secretary Robert Gibbs assailed Thomas for her words. Thomas, 89, who has covered the White House for decades, canceled a speech over the weekend and was dropped by a speakers’ bureau that represented her. The controversy comes at a precarious moment in the Middle East, after an Israeli assault on an aid flotilla that left 11 dead and prompted an international outcry. Helen Thomas’ comments were indefensible and the White House Correspondents Association board firmly dissociates itself from them. Many in our profession who have known Helen for years were saddened by the comments, which were especially unfortunate in light of her role as a trail blazer on the White House beat. While Helen has not been a member of the WHCA for many years, her special status in the briefing room has helped solidify her as the dean of the White House press corps so we feel the need to speak out strongly on this matter. We want to emphasize that the role of the WHCA is to represent the White House press corps in its dealings with the White House on coverage-related issues. We do not police the speech of our members or colleagues. We are not involved at all in issuing White House credentials, that is the purview of the White House itself. But the incident does revive the issue of whether it is appropriate for an opinion columnist to have a front row seat in the WH briefing room. That is an issue under the jurisdiction of this board. We are actively seeking input from our association members on this important matter, and we have scheduled a special meeting of the WHCA board on Thursday to decide on the seating issue.